Now that it's starting to get nice outside my wife is gearing up for spring cleaning. By which I mean she's starting to nag me about cleaning the basement. I'm going to make my son do most of the work, though. When Kevin Federline was fat part of me died. Captain Kangaroo was one of my idols, but he's a little too Australian for 2010. Garlic fries are good, but nothing beats the classic French fries. Scott Baio's reality show was one TV engagement I dared not to miss. Dunston Checks in is one of the many times monkeys in movies worked. I wouldn't eat cake for breakfast, but I would have pie--it's filled with fruit. 3D glasses are a bit restrictive don't you think? Salmon is the king of fish. End of story. I would never eat anything as exotic as rattlesnake. Family Guy just isn't funny to me. Twinkies are my favorite desert, especially when you cover then in ice cream. Is Patrick Swayze still alive? It's been far too long since my last glass of Kool-Aid. 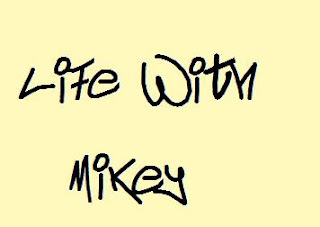 Pie is worse for you than cake Mikey, no wonder you're fatter than Kevin Federline and almost as fat as Kevin from The Office! And btw, how the hell are 3D glasses restrictive? They open up your viewing pleasure to an entire extra dimension!!! Get your facts straight Mikey. So is Farrah Fawcett, but you wouldn't know it by the Oscar montage! Oh, and monkeys worked better in Congo than Dunstun Checks In. Nate is taking Mikey to task. What does Kevin Federline have to do with you? His body weight has no effect on your life at all.